World Travel Market London 2018 saw a 6% increase in visitor numbers this year, fuelled by an increase in senior travel and tourism professionals attending the event. The total number of visitors was 32,700, fuelled by a 39% increase in the key benchmark of exhibitor invitee visitors. Exhibitor invitees are among the most important and senior professionals in the travel and tourism industry, invited by exhibitors on the invite-only first day of the event to conduct high-level meetings and conclude business deals. WTM London 2018 was given a greater regional focus this year with the introduction of five regional Inspiration Zones – UK&I and International Hub, Europe, Asia, Americas and Middle East and Africa. These Inspiration Zones led to an increase in content, ideas and inspiration for participants to take back to their business, and implement to help fuel the growth of the travel and tourism industry. This strategy saw a greater number of senior CEOs and tourism ministers take part in the content programme – including easyJet’s CEO Johan Lundgren and UK tourism minister Michael Ellis. While more research was added to the programme – including dedicated regional research sessions – from respected research organisations including Euromonitor International, Mintel, ForwardKeys and Nielsen. WTM London senior director Simon Press said: “WTM London 2018 was a fantastic event and the most successful ever. 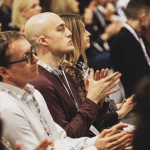 WTM London is the event where ideas arrive, and this was proved with a record number of exhibitor invitees in attendance making it among our highest attended events. Stuart Wood is a news reporter across the Mash Media editorial portfolio. He writes for EN alongside sister publications Conference News, Access All Areas, Exhibition World and Conference & Meetings World.